SAN FRANCISCO—At its public meeting on July 28, the Judicial Council will consider a recommendation from its Trial Court Budget Advisory Committee to make an allocation to the trial courts from the Trial Court Trust Fund (TCTF) and General Fund for general court operations and specific costs for fiscal year 2015-16. The council will also consider a recommendation from its Trial Court Budget Advisory Committee to submit to the state Department of Finance a budget change proposal to address increased costs for court-provided (non-sheriff) security. The proposal also calls for giving courts―with court-provided (non-sheriff) security since 2010–2011—a level of funding based on the same growth percentage that the county sheriff receives. A live audiocast of the meeting will be available on the California Courts website, and the agenda and council reports are posted online. 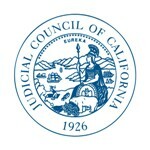 NOTE: The July 28 Judicial Council business meeting will take place via teleconference.